Expedia can help you save loads with a Ryazhsk vacation package. With all that extra cash in the bank, you might even like to book a few additional nights. Secure your deal on Expedia and earn savings of up to C$590*! It really is that easy! You can pick from more than 400 partner airlines and 321,000 worldwide properties on our comprehensive database of lodgings and flights. Fly with who you want, stay where you want — now that's the perfect vacation! Almost ready to jet off on your Ryazhsk vacation? Not sure what to put on your travel itinerary? Don't stress — we'll give you some suggestions. Sourcing all your travel tips from the internet is easy, but don't be too surprised if that "secret waterfall" isn't as idyllic as you'd been led to believe. For the top sights and sounds in Ryazhsk, nothing beats speaking to the locals. Make your way through security, shuffle onboard, find your allocated seat and get cozy! Your exciting trip to Ryazhsk isn't far off now. After the wheels touch down at Lipetsk Airport (LPK), you'll find yourself approximately 75 miles (121 km) from the center of downtown. We were not able to find any hotels near this destination. We found these hotels for you in Ryazan Oblast. 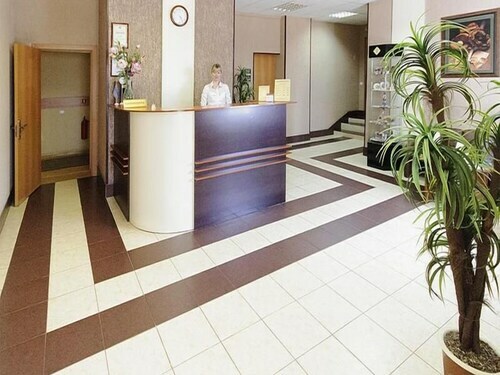 Located in the heart of Ryazan, this hotel is within a 15-minute walk of Monument to Evpatiy Kolovrat, Museum of the History of the Youth Movement, and Ryazan State Regional Art Museum. I.P. Pavlov Museum and Sergey Yesenin Monument are also within 1 mi (2 km). Ryazan 1 Station is 25 minutes by foot. 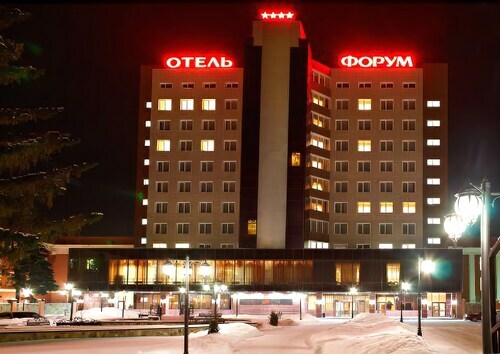 Situated in Ryazan, this hotel is within 9 mi (15 km) of Holy Trinity Monastery, I.P. Pavlov Museum, and Sergey Yesenin Monument. Church of the Transfiguration on Yar and Ryazan Kremlin are also within 9 mi (15 km). Situated in Ryazan, this hotel is within a 15-minute walk of Ryazan State Regional Drama Theatre and Ryazan State Puppet Theatre. House of Artists Exhibition Hall and Ryazan State Regional Art Museum are also within 1 mi (2 km). Situated in Ryazan, this hotel is within a 10-minute walk of Monument to Evpatiy Kolovrat, Sergey Yesenin Monument, and Church of the Transfiguration on Yar. Ryazan Kremlin and I.P. Pavlov Museum are also within 15 minutes. Ryazan 1 Station is 23 minutes by foot. 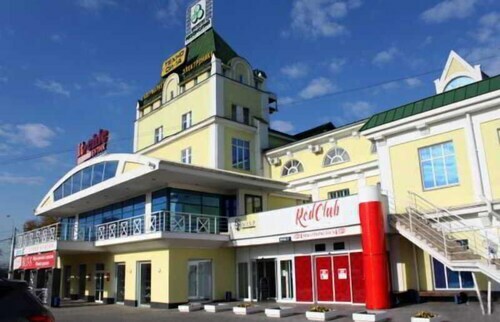 Situated in Ryazan, this hotel is within 2 mi (3 km) of Holy Trinity Monastery, I.P. Pavlov Museum, and Children's Art Gallery. Monument to Evpatiy Kolovrat and Military Auto Museum are also within 3 mi (5 km). Ryazan 2 Station is only a 2-minute walk and Ryazan 1 Station is 14 minutes. Situated in Ryazan, this hotel is within 1 mi (2 km) of Holy Trinity Monastery and I.P. Pavlov Museum. Monument to Evpatiy Kolovrat and Military Auto Museum are also within 2 mi (3 km). Ryazan 2 Station is 6 minutes by foot and Ryazan 1 Station is 10 minutes. Nestled on the beach, this Polyanskoe hotel is within 9 mi (15 km) of Ryazan State Puppet Theatre, Ryazan State Regional Drama Theatre, and Solotcha Monastery. Ryazan State Regional Art Museum and Ryazan Kremlin are also within 9 mi (15 km). 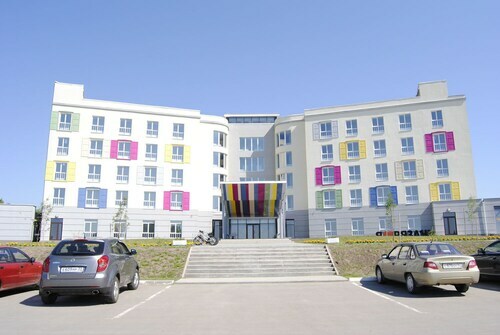 Situated in Ryazan, this hotel is within 2 mi (3 km) of Ryazan State Regional Drama Theatre, Memorial Park, and House of Artists Exhibition Hall. Ryazan State Puppet Theatre and Ryazan State Regional Art Museum are also within 3 mi (5 km).